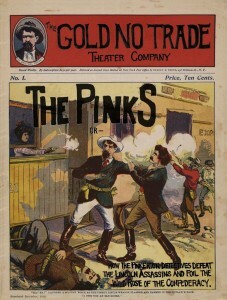 The Pinks, is a comic detective caper that is also steeped in history. Based on Alan Pinkerton and his famous detective agency, we follow several agents sent undercover in events that might just lead to the Union Army’s terrible defeat at Bull Run. In this episode, we meet Kate Warne, the first female detective who is hired just in time to help nab the infamous Rose Greenhow, or the Wild Rose of the Confederacy, a Southern Belle and sympathiser working right in the heart of the Union. For more information visit www.goldnotrade.com.